Dieter Helm is fellow in economics, New College, and professor of economic policy, University of Oxford. In 2017 he carried out the Cost of Energy Review for the UK government. He lives in Oxfordshire, UK. “Getting serious about global warming will require a transformation in the world’s energy systems. In this lucid and wide- ranging book Dieter Helm shows how that transformation will affect almost every quarter of the global economy—from commodity prices to the strategies of the world’s largest companies. The future energy system, Helm says, is likely to hinge on electric power. Today’s big producers of hydrocarbons, from Russia to the Persian Gulf, are in trouble; countries that can promote and harness technological innovation will fare best." - David G. Victor, Professor at School of Global Policy and Strategy, UC San Diego and author of Global Warming Gridlock.
? "When Britain's leading energy expert concludes that the fossil fuel industry is doomed, people are likely to sit up and take notice. 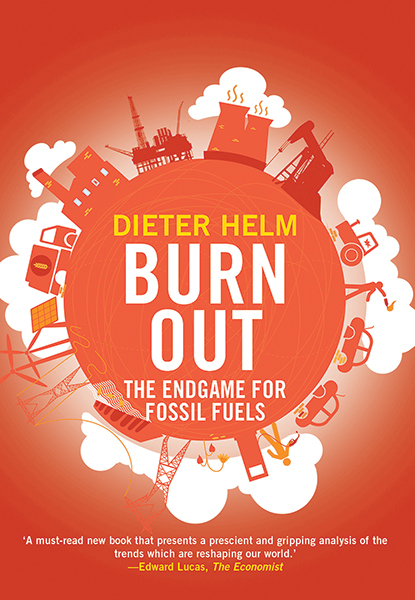 Dieter Helm provocatively sets out the primary causes - climate change and new technologies - along with the economic and geopolitical consequences of the endgame for fossil fuels. This is no reason here for environmentalists to celebrate; even if investors follow a the "harvest and exit" strategy suggested by Helm, dangerous climate change is still likely without further action. This striking new book displays Professor Helm's characteristic force and clarity, making it compelling reading for those interested in energy or climate policy."